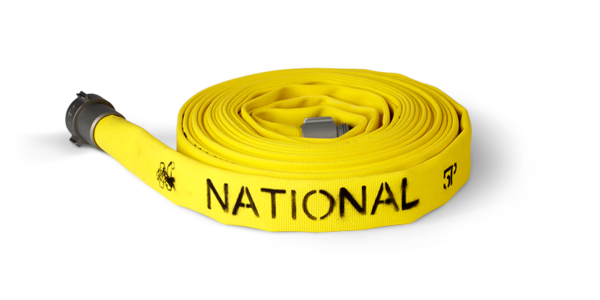 The super-duty 5P is an excellent all-around performer: Strong, flexible and ideally suited for all exterior and interior firefighting applications, it delivers medium pressure and high-end performance at a value price point. 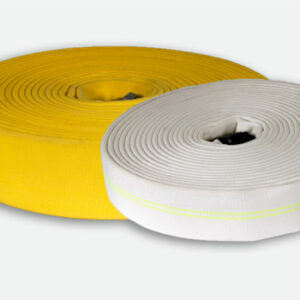 5P is a polyester single jacket hose with a rugged Ethylene Propylene Diene Monomer (EPDM) rubber liner that can handle most fluids including some chemicals and petroleum-based products. 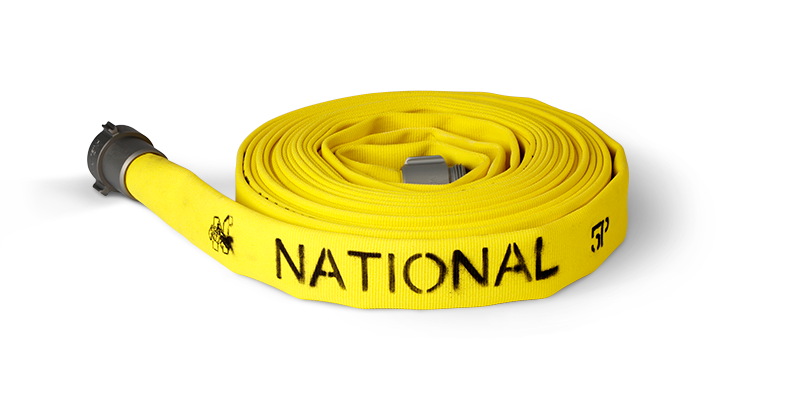 The super-duty 5P is an excellent all-around performer: Strong, flexible and ideally suited for all exterior and interior firefighting applications, it delivers medium pressure and high-end performance at a value price point. 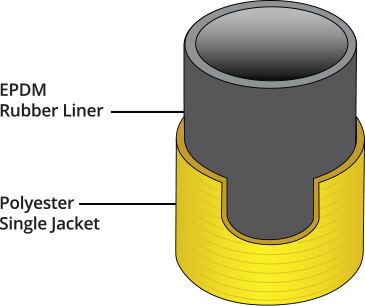 5P is a polyester single jacket hose with a rugged Ethylene Propylene Diene Monomer (EPDM) rubber liner that can handle most fluids including some chemicals and petroleum-based products. It boasts a maximum operating pressure of 225 psi (1550 kPa) and can be enhanced with optional Dura-Cote™ treatment for a higher level of abrasion resistance while preventing water pick-up. Add-on Strength. 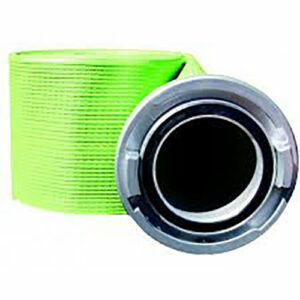 Optional Dura-Cote™ protective treatment extends the life of the hose, greatly increases abrasion, heat, flame and petrochemical resistance. Rated. 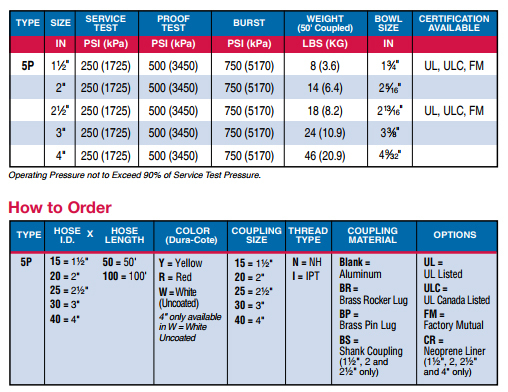 1½” and 2½” sizes are UL, ULC and FM approved.